NOOR & iMPACT DOC are pleased to announce a two day workshop in Amsterdam with Kadir van Lohuizen, on May 11th & 12th 2019. Participants will discuss, share & learn about the development of a long-term photographic project. Together with the participants, Kadir van Lohuizen will work on the (re)conceptualizing, sequencing, and narrowing down the series and projects. Activities will include presentations on related projects by Kadir, group reviews and editing sessions, and receiving critical and constructive feedback from Kadir. Application Deadline: Sunday April 14th, 23.59 CET. We are pleased to invite you to the De Donkere Kamer for “Arctic: New Frontier,” on April 4th, in Antwerp, Belgium, where Kadir van Lohuizen will present this pioneering double polar expedition . Photojournalists Yuri Kozyrev and Kadir van Lohuizen documented the irreversible impact climate change has had on the entire Arctic territory. This project has been awarded the 9th Prix Carmignac for Photojournalism, supported by the Carmignac Foundation. Arctic: New Frontier by Yuri Kozyrev and Kadir van Lohuizen is currently on show at the Saatchi Gallery! Read about it now in artnet. Arctic: New Frontier by Yuri Kozyrev and Kadir van Lohuizen is in The British Journal of Photography. Arctic: New Frontier by Yuri Kozyrev and Kadir van Lohuizen is in The British Journal of Photography. Make sure to check out the exhibition at the Saatchi Gallery, opening up tomorrow until May, in London, UK. 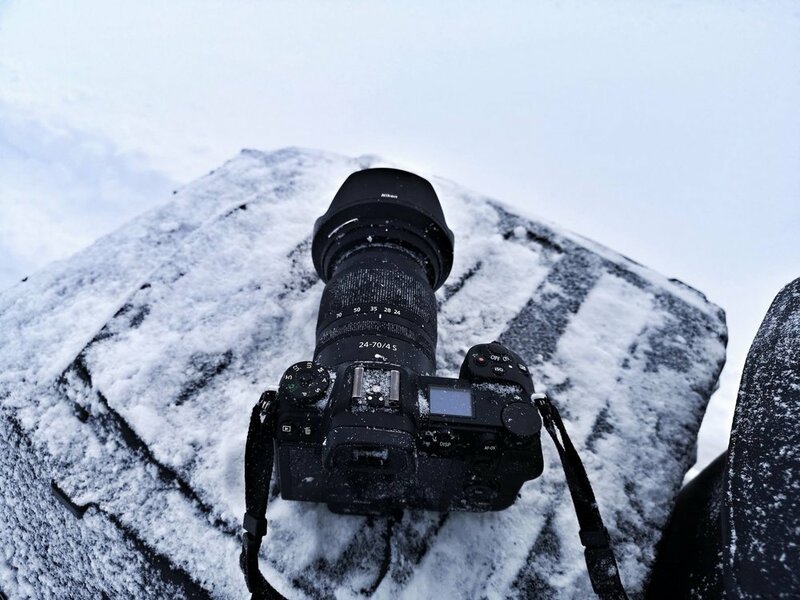 Kadir Van Lohuizen recently tested the performance of the latest Nikon Z6 mirrorless camera, in the Norwegian Arctic! Opening Friday in London at Saatchi Gallery, Arctic: New Frontier by Yuri Kozyrev and Kadir van Lohuizen! This project was the 9th laureate of the Prix Carmignac du photojournalisme, graciously supported by the Fondation Carmignac. Arctic: New Frontier, a pioneering double expedition by Yuri Kozyrev and Kadir van Lohuizen that explores the effects of climate change on the entire Arctic territory, is now currently available as a documentary on ARTE Reportages, and will be screened by the Dutch broadcaster VPRO Backlight on NPO 2, on March 3rd at 9:05pm. 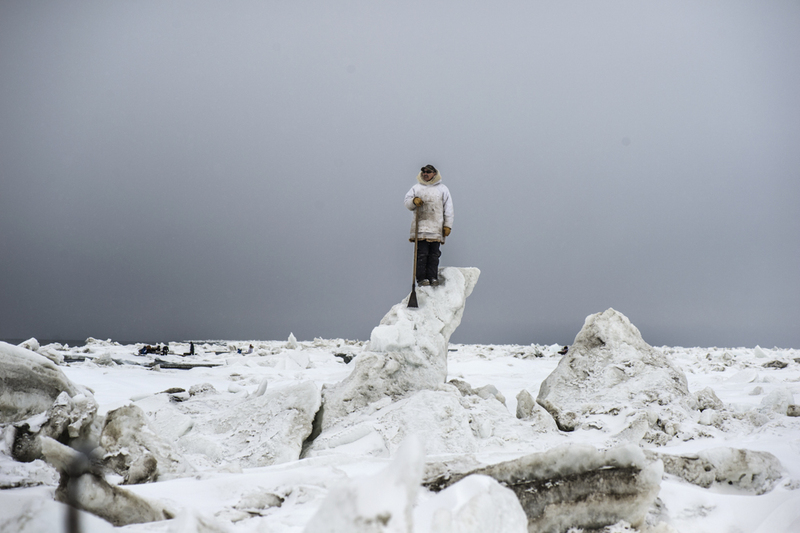 The 9th Edition of the Carmignac Photojournalism Award supports an investigative photojournalism report that will shed light on the challenges facing the Arctic and that will highlight the consequences climate change might have on the planet. In 2009, while media and photojournalism faced an unprecedented crisis, Edouard Carmignac created the Carmignac Photojournalism Award to support photographers in the field. It funds annually the production of an investigative photo reportage on human rights violations, geostrategic and environmental issues in the world. Arctic: New Frontier, exhibited at Saatchi Gallery, from March 15th onwards! We are pleased to invite you to the opening of the exhibition “Arctic: New Frontier,” by 9th edition laureates Yuri Kozyrev and Kadir van Lohuizen (NOOR), at Saatchi Gallery in London on March 15th! Open to the public until May 5th, this pioneering double polar expedition chronicles the journey of photojournalists Yuri and Kadir as they document the irreversible impact climate change has had on the entire Arctic territory. The exhibition of over 50 photographs and 6 videos “provides a masterful and salutary insight into one of the major challenges of the coming years” (L’Express, November 15th, 2018). 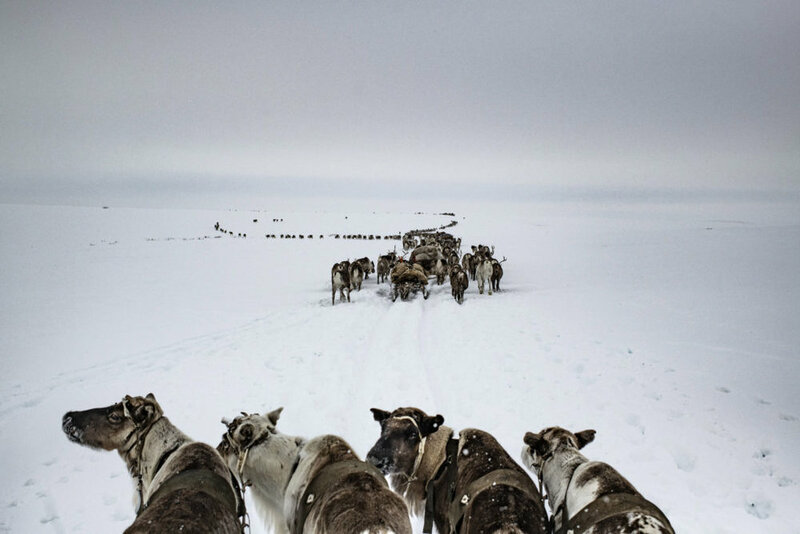 Displayed at London’s Saatchi Gallery, which has been hosting the Carmignac Photojournalism Award for the fifth consecutive year, “Arctic: New Frontier” is accompanied by a bilingual French-English catalogue co-published by Fondation Carmignac and Reliefs Editions. It will be available at the Saatchi Gallery bookstore and throughout the network of bookstores in the UK and Europe. Admission for "Arctic: New Frontier" is free. In 2009, while media and photojournalism faced an unprecedented crisis, Edouard Carmignac created the Carmignac Photojournalism Award to sup- port photographers in the field. Directed by Emeric Glayse, it funds annually the production of an investigative photo reportage on human rights violations, geostrategic and environmental issues in the world. Selected by an international jury, the laureate receives a grant, enabling them to carry out in-depth research on the ground, with logistical support from Fondation Carmignac. The latter presents a travelling exhibition and the publication of a monograph upon their return. At the end of each edition, four photographs bequeathed by the laureates are included in the Carmignac collection. Created in 2000 under the initiative of Édouard Carmignac, Fondation Carmignac is a corporate foundation with two main strands: an art collection of close to 300 works, and the annual Carmignac Photojournalism Award. Villa Carmignac, an exhibition space on Porquerolles Island in Southern France, showcases the collection and hosts a programme of cultural and artistic activities. "Arctic: New Frontier" exhibited at Saatchi Gallery, London. 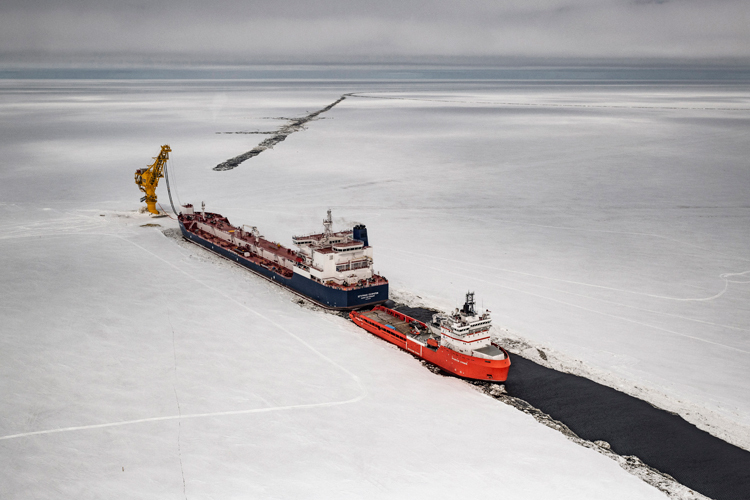 Yuri Kozyrev's & Kadir van Lohuizen's latest project "Arctic: New Frontier" will be exhibited at the Saatchi Gallery, from March 15th onwards! This project was the laureate of the 9th Prix Carmignac du Photojournalisme, graciously supported by the Fondation Carmignac. Kadir van Lohuizen's observation of the immigration in America was published in the Photoworld Magazine.